Al-Aqsa imam accuses Jewish "extremists" of trying to achieve Israeli sovereignty over the mosque. Sheikh Ikrima Sabri, the imam of the Al-Aqsa Mosque in Jerusalem, is accusing "extremist" Jewish organizations of waging a legal battle aimed at achieving Israeli sovereignty in the Al-Aqsa Mosque. 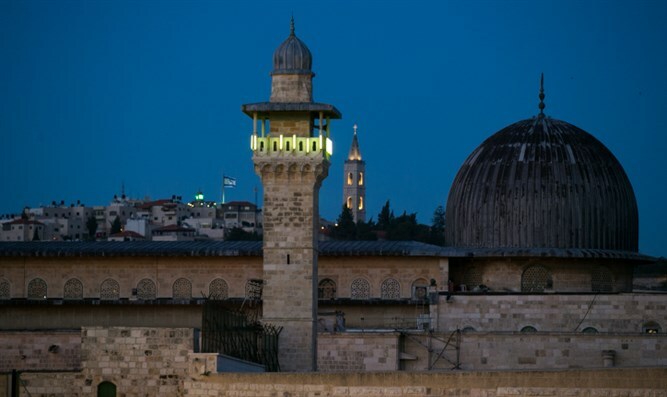 In his weekly sermon on Friday, Sabri said that the dangers to the mosque and the Islamic sites in Jerusalem still exist, including the closure of the Bab al-Rahma prayer house, which he said is an inseparable part of the Al-Aqsa Mosque. He also cited complaints filed by Jewish organizations against the religious endowments and religious institutions of the Al-Aqsa Mosque. "The occupation is striving in this way to once again and in another way impose sovereignty through a decision of the Zionist court to bring about control over Al-Aqsa," Sabri charged. Last year, Sabri rejected the demand for Jewish prayer on the Temple Mount, saying it is "unacceptable". "The Al-Aqsa mosque will not surrender to haggling and negotiations, and we will not give up on even one grain of earth," he declared.